For one, this advice is powerful because it’s coming from a man who needs no introduction. 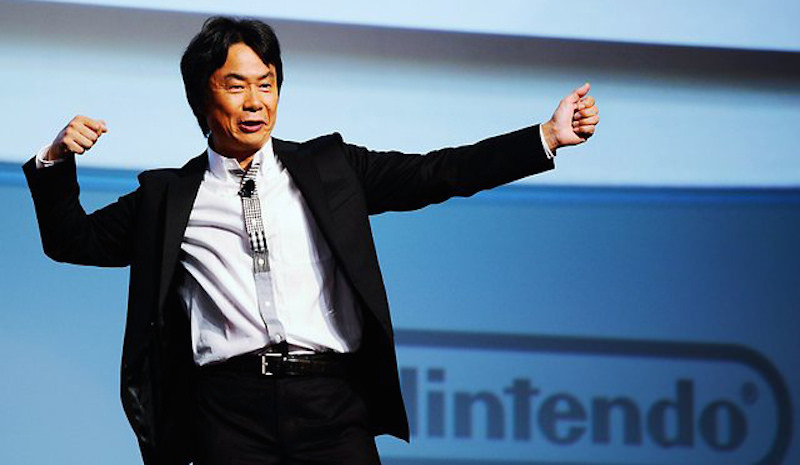 Miyamoto has not only produced some of the biggest franchises in gaming history but has also stood the test of time as a developer after working in the industry for several decades. But what also makes this quote notable is that it’s far different than the typical advice you’d receive: to get good at making games, play lots of games. Miyazaki has recently become one of the most successful game developers in the industry with his dark fantasy titles. Very challenging and offering little direction to players, the Dark Souls games nonetheless became popular for giving players a brutal but rewarding experience that set them apart from other titles with hand-holding and lengthy tutorials. In a recent interview with Game Informer, Miyazaki revealed the hobby that has helped him develop his games– cooking. “It’s like playing an RPG…I like cooking by taking time, paying attention to all the details, gathering the proper equipment, and taking all steps necessary to create something great. The more time and care that is spend, the better the food becomes. There’s a reason why Miyamoto wants the next generation of developers to look outside of games for inspiration: it has always worked for him. In fact, most would be surprised to find out just how much Miyamoto’s childhood and hobbies played a part in the creation of series most of us grew up with. For example, The Legend of Zelda was inspired by Miyamoto’s days as a child as he explored the wilderness around his hometown. Pikmin came to him when he noticed ants working together to carry leaves in his garden, while Star Fox came from his love of a British puppet TV series called Thunderbirds. Even not-so-popular titles like Wii Music came from his love of bluegrass music! Designed to take advantage of the Game Boy’s new link cable, Pokemon Red and Blue ended up being the start of one of gaming’s largest media franchises. You don’t have to be a gamer to know just how big Pokemon remains even nearly 30 years after the first two games blew us all away. Of course, the “Gotta Catch Em All” theme of collecting every Pokemon in the games stems from Tajiri’s love of collecting insects as a child. Satoshi has often admitted that Pokemon was his way of sharing his love of capturing bugs and insects of all shapes and sizes. The different types were also inspired by the rock-paper-scissors game. Kojima has been a part of gaming for more than two decades now and is known for his acclaimed Metal Gear series. These games have gathered a strong fanbase for delivering not just great gameplay but captivating stories and characters as well. Anyone who has played a Metal Gear Solid game knows just how unique Kojima’s cutscenes and dialogue are compared to other titles. Perhaps it will them come as no surprise that one of his biggest inspirations is film itself. In fact, Kojima’s initial goal while attending college was to become a film director. When that didn’t work out, he pursued his other passion and is now responsible for some of the most entertaining games out there, both visually and gameplay-wise.